This majestic collection of gourmet specialty gifts arrives artfully arranged in a large and unique magazine rack/basket! This abundant selection features some of our most popular gourmet gifts! This gift is perfect for an individual or family and also large enough for an office holiday gift! 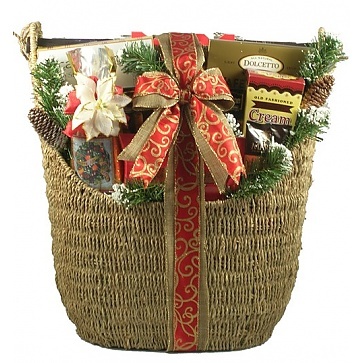 This elegant gift features a gorgeous magazine rack/basket that would look amazing in any home or office. It's a unique and stunning piece!